Until you can kill all the stink bugs everywhere, one good way to handle your problem is a repellent. There are a few different types of repellents you can use. If you aren’t sure where to start, we’ve put together three different options to keep you and your family safe and bug-free. Let’s take a look. How Do I Choose A Repellent? What Ingredients Are In Non-Toxic Repellents? 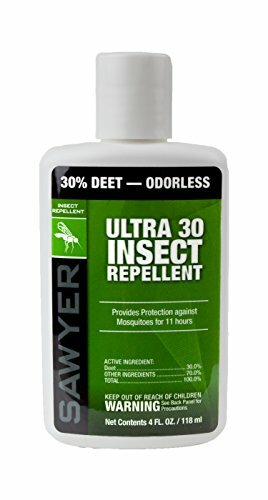 Sawyer’s liposome-based repellent contains 30% DEET, is non-greasy, non-staining, odorless and sweat-proof formula that lasts for up to 11 hours and is great for backyard or backcountry use. It’s effective against all kinds of insects. It can be used on children 2 months and older and can be used on the face, just be careful to keep it out of your eyes and mouth. Sawyer does recommend a combination of the lotion used only on exposed skin with a Permethrin spray for your clothing and other outdoor gear. They also recommend that if you are going to use sunscreen with it to use their Stay-Put Sunscreen 10 minutes before applying the bug repellent. If you don’t like the idea of smearing your body with lotion or other chemicals, you can always switch to a different method, ultrasonic. Ultrasonic repellents use a high frequency to confuse and repel pests before they ever reach you. 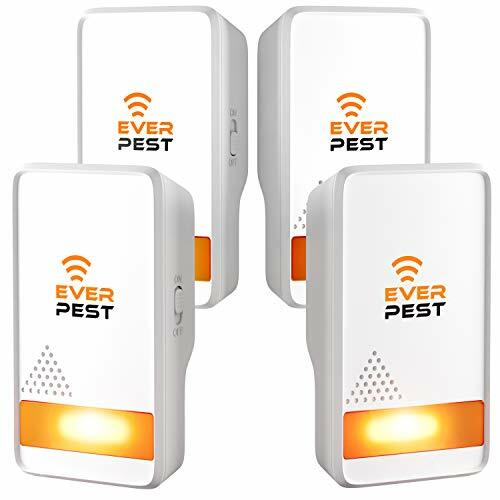 Mosquito Ultrasonic Pest Repellent pack comes with four so you can protect a wide area. They plug into a standard outlet and don’t emit any noise for humans. Between the four, they can cover a combined area up to 1800 square feet. They’re kid and pet safe. The sounds emitted aren’t audible to humans or large pets, but can safely deter pests within your home without using any sort of spray or lotion. The plug-in is discrete and can be used throughout your house. If you have plugins outdoors, you can also plug them in for temporary relief, but be sure to unplug it and bring it inside, so it isn’t subject to the elements. Non-toxic sprays are excellent for clearing your home of pests without harming your children or pets. stink bugs and other insects that show up in your home can sometimes reproduce if you ignore them. 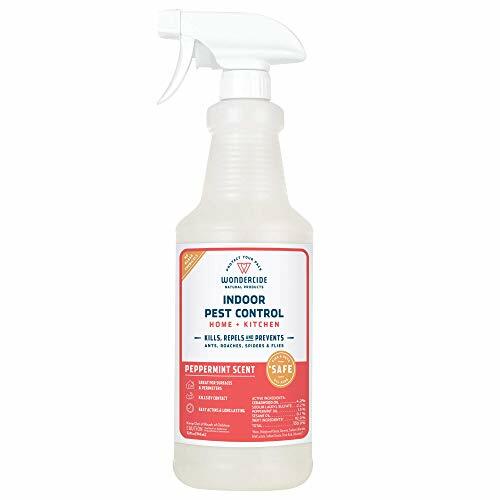 This spray helps you keep the infestation under control without worries. It uses natural chemicals and essential oils to help prevent insects and repel them naturally. The entire bottle will treat up to 400 square feet for a variety of household pests. You do have to reapply often to prevent new infestations. It’s safe to use on fabrics and most surfaces. You can even use it in areas where you usually prepare food. It smells very uplifting with some of the essential oils in the formula being known mood boosters. If you’re treating your home regularly, it does help it smell better overall. Pests can ruin your home, your camping, or your outdoor space. Not all repellents are created equally, however. There are a few different types of repellents to consider for your pest problem. The most common type of repellent is something you apply directly to your body. The benefit of body application is that the barrier is directly on you so insects can’t or don’t want to get through. You should look for a formula that can withstand some sweat, so you don’t wear it off too quickly. Also, it should be safe for your skin. Do a patch test before applying so that you can be sure it won’t cause any irritation. Some aren’t suitable for children. If you’re worried about your kids, you can choose a nontoxic formula that relies on essential oils and natural bug deterrents instead of chemicals. Sprays are usually the easiest ones to get on, but they can sometimes waste a lot on the application. Lotions get every bit of the repellent on the body, but they can be messy to apply with your hands. Spraying repellents in your home helps deter insects from coming in and can be effective if you’ve got a small infestation or bugs here and there. If you decide to use sprays, consider your area and who lives with you. Pets and children are known for exploring and playing in all corners, so you don’t want something that might cause a reaction. Natural formulas are safe for pets and children, but they may require more applications to be effective. You also want to be careful treating areas of your home that you use to prepare food. Don’t use harsh chemicals or synthetic repellents around those areas because you may contaminate your food. One of our options on the list is even food safe so you can treat the kitchen safely. The kitchen is notorious for attracting pests, so that’s a good option if you’re seeing stink bugs or other types of pests. The benefit of household sprays is you don’t want to have to put repellent on your body in your own home. They discourage bugs from larger areas. The downside is that you have to be really careful what’s in your spray before you use it. Ultrasonic repellents take an entirely different approach. Ultrasonic repellents use a high-frequency sound that pests and vermin can hear, but is inaudible to humans. As it emits the frequency, it sends bugs running. Ultrasonic repellents are tied to your outlets. They have to plug in, and you need to think about where your outlets are. Coverage zones should overlap slightly so there aren’t any paths where bugs can travel outside of the frequency. One benefit of ultrasonic is that you don’t have to remember to reapply repellent. It works in the background to repel bugs with little effort on your part. The downside to these is they might not always work if your infestation is severe. Studies are still out on ultrasonic protection, but it’s worth the effort to reduce the number of chemicals present in your household. What Ingredients Are In Nontoxic Repellents? Classic repellents used ingredients like DEET, undoubtedly useful but harsh on your skin and the environment. If you’re applying it directly to your skin or that of your child, you may not want harsh chemicals. Many nontoxic formulas use essential oils that are noxious to bugs. Some examples are citrus oils, peppermint, cedar, and lemongrass. These ingredients help discourage insects from those areas of your body or your home. If you really don’t want to use sprays, you might give ultrasonic repellents a try. There’s no chemical to work around and nothing to have to reapply. Repellents are a big part of making sure your outdoor time and your household are safe from pests like stink bugs. Until you can kill all the bugs everywhere, repellents help keep them away from you and your house. What’s your favorite outdoor activity? Is it frequently ruined by pests like stink bugs? Let us know in the comments below.